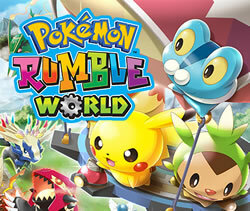 Pokémon Rumble World is a free to play action game and the fourth game of the Pokémon Rumble series. Although the game is free to play, it features a special currency known as "Poké Diamonds", which can be bought with real money, and which can help the player progress faster. 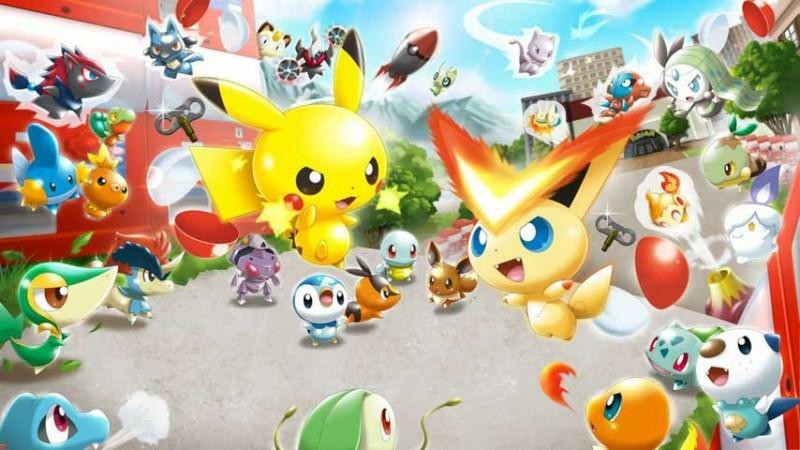 The game follows similar gameplay mechanics to the other Pokémon Rumble games and features 719 Pokémon, up to the sixth generation. New fun features have also been added, as Balloon Travelling and the Special Stone Shop. Pokemon Rumble World acts as the predecessor for the Wii U's Pokemon Rumble U and is due to be succeeded by the iOS/Android app "Pokéland" which is yet to be released. The game starts out with the player visiting the King of the Kingdom of Toys. The king got humiliated by a magician who had 10 Pokémon while the King owned only a single Pikachu. The King asks for the player's help, by giving them his Pikachu and sending them on a Pokémon collecting quest. The player uses the air balloon to travel to the King's Training Field, where they manage to catch a Treecko and a Torchic. Upon returning to the King, he will be pleased with the player's progress and officially nominate them as an adventurer. Next, the player will move to the castle's courtyard, from which they'll visit different areas and go through various adventures. The game introduces the sixth generation Pokémon to the Pokémon Rumble series, with a total of 719 Pokémon available. It also features the Rusty Pokémon from Pokémon Rumble Blast. Like the previous games, many of these Pokémon could be caught during the stages, while others are only available through special methods. The legendary Pokémon are extremely rare, as they will have a very low chance to appear randomly. Most of these require that the player, first, visits the Special Area of the stage they appear in. Moreover, the player must also have three stars on that stage. If they're lucky enough, the legendary Pokémon will appear as a boss, with a very low chance of being caught. 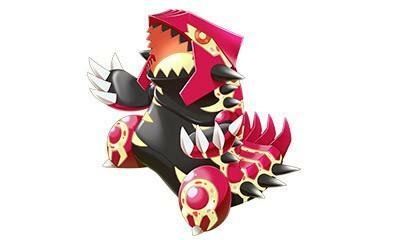 Some of these, like Giratina and Deoxys have several forms and will appear in a random one, when they're encountered. So the player would have to visit the stage and go through the whole process again, if they want to acquire them in alternate forms. After acquiring an Adventure Rank above level 4, the player can type passwords at the Password option, while in the courtyard. 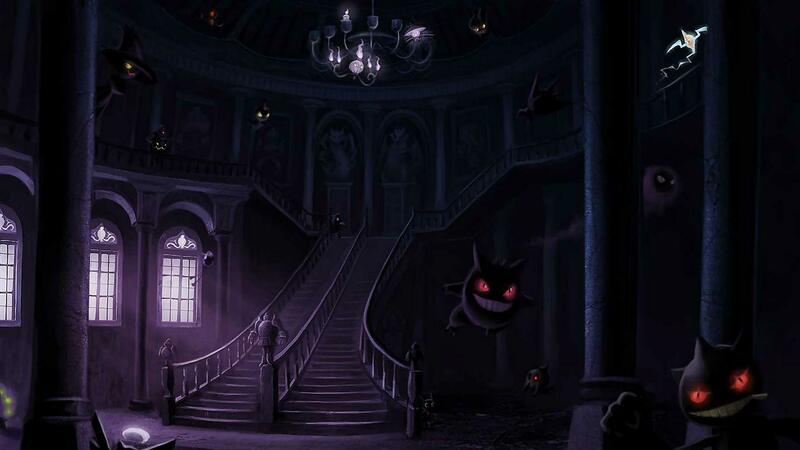 The Pokémon will be received upon visiting the King. These Pokémon do not give coins when released, to avoid the abuse of passwords. An official artwork of some mons gettin' ready to Rumble! After reaching Adventure Rank 50, the player will start finding Rusty Pokémon. These Pokémon can only use the ability Struggle and have a crimson colored name. As the player reaches rank 58, they'll get a challenge from the King, which will provide them with a Rust Removal Spot, upon completion. The player will be able to cleanse their first Rusty Pokémon, at the Rust Removal Spot, for free. Afterwards, the cleansing process would cost them 1 Poké Diamond per Pokémon. It is the place where the game starts and the home of the King of the Kingdom of Toys. The player would have to visit the castle, in order to check their Adventure Ranking progress and obtain challenges from the King. This location can only be visited at the start of the game, allowing the player to catch their very first two Pokémon. One should note that the bosses on this level are uncatchable. The courtyard is the main hub of the game, where the player can access different facilities and interact with the Miis there. There, the player will be controlling a Pokémon, instead of their own Mii which willl be found idle there. The player has to press the A button, in order to interact with any of the Miis. If the player intracts with their own Mii, it might try to hold the Pokémon after it jumps into its hands. If the Pokémon is big in size, it will squash the Mii. The player's Mii, might also dance with the Pokémon, pet it or even feed it. If the player had interacted with other players owning the game, through StreetPass, their Miis will spawn at the courtyard. There can be only up to four Miis present at a time. Each day, the Mii which was encountered the latest would replace one of the present Miis. The most recent Mii to arrive in the courtyard might offer the player one to three Poké Diamonds. If the player interacts with the other Miis, they might offer to take the Pokémon to a "Special Treat" area of a certain stage. If the player doesn't have the balloon for the stage, they'll pay one Poké Diamond to enter. If they do have the balloon, they'll pay 500 Play Coins as entry fee, instead. As the player gains a higher Adventure Ranking, they'll unlock more areas to visit. Each area has up to six stages and contains different species of Pokémon. In order to visit these areas, the player must buy their respective balloons. Here the player can select one of the balloons they have unlocked and use them to travel to an adventure. After selecting a balloon, a level will be randomly selected, using a roulette. Using a balloon will put it on cooldown that varies from a balloon to another. The player can pay Poké Diamonds to remove the cooldown. A poster from Pokemon Rumble World's official art set. Similarly to the previous Pokémon Rumble Games, the player must use a Mii Pokémon to battle waves of monsters in various stages, while capturing some of them. At the end of each stage, there's a Boss battle, where the Boss's hp bar must be depleted to score a win. The player's Pokémon does still have only two attack skill moves, which can be changed and new ones can be learned. Unlike, the previous games though, the player's own Mii will send the Pokémon to the different stages and wait for them at their end. The stages are now randomly picked and the Pokémon Miis are smaller in size than the human Miis. These are the challenges the King sends the player through. Completing a challenge will unlock the next one on the day after, but the player can access additional challenges earlier, if they reach the required Adventure Rank. These challenges award items, backgrounds and Mii clothing. The player will also earn five Poké Diamonds for completing the challenge's main objective and two Poké Diamonds for each secondary objective. If the main objective isn't completed, no rewards would be earned. If the player manages to get all the rewards from a challenge, they won't earn anything else from repeating them. The shop is where the player can buy items of all sorts. The higher the player's Adventure Rank, the more items they'll have in the shop. 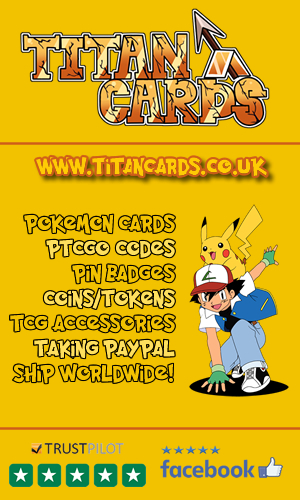 The Shop does also contain items, which are available on for a day and change on a daily basis. The items available for sell include balloons, which will unlock certain areas. The player can also buy items that affect: the Pokémon stats, storage slots and even the Pokémon encounter rate. The Mii running the shop might change everyday, if the player had encountered many other players using the Street Pass. Each one of the players' Miis will be selected to run the shop. The game features two types of currency: the Poké Points and the Poké Diamonds. The Poké Points are the normal currency earned on most game stages, with which the player can buy different items from the shop. Poké Diamonds, can also be acquired in game but in way harder and more limited ways than the Poké Points. Some of the Miis the player encounters might give them Poké Diamonds, with a limit of 4 on the Diamonds received from Miis. Completing challenges would also provide the player with a small amount of Poké Diamonds. Additionally, this currency can be bought using real money from the Nintendo eShop option, at the shop. The higher the quantity the player buys, the more money they save on the purchase. Sometimes, the Poké Diamonds go on sale, allowing the player to buy them for way lower prices. This special currency can help the player progress faster, as it is used on most game features such as resetting the balloon's cooldowns or buying useful items from the shop. If the player reaches the maximum number of Poké Diamonds, the Poké Diamond Digger special building will appear. This building will sell the player two VIP cards. One would make the refresh cost of the balloons' cooldowns cost 1 Poké Diamond, while the other will reduce the cost of the Timing Stop feature to 1 Poké Diamond. After the player finishes the challenge "The Phantom Thief Returns", a special item for time manipulation is unlocked at the shop. If the player buys the item, they can slow time at the stage selection spinning roulette, by pressing the button X. As the time is way slower, the player can now simply pick which stage they want to visit next. Timing Stop, however, does cost the player 2 Poké Diamonds when performed. As the stage gets selected, the player might receive a notification that the area they're visiting is in "Fever Time". This means that additional stars were distributed on the level, increasing the chance to meet rare Pokémon. If this happens Twice, it becomes "Super Fever", with more stars and rarer Pokémon. 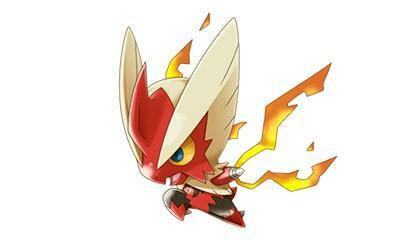 Pokémon Rumble World introduces the Mega Evolution feature to the Pokémon Rumble series. After reaching Adventure Rank 33, the Stone Shop will appear and will be selling Mega Evolution Stone. The player must pay five Poké Diamonds to equip a Pokémon with one. During the stages, if the Pokémon used has a Mega Stone, the player can simply press the Mega Evolution button to initiate it. A cutscene is then shown and the Pokémon Mega Evolves. The Pokémon's stats would change to those of its Mega Evolution and it will stay in that form until the end of the level. Upon finishing the "Catch the Garden Intruder" challenge, the Move Tutor Shop appears, allowing the player to switch their Pokémon Moves or teach them new ones. 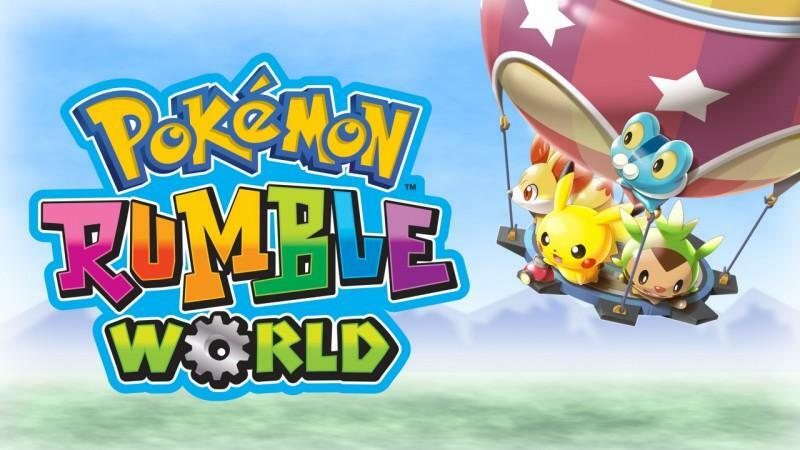 Check out these videos of Pokemon Rumble World including the opening/intro, official trailer and some Lets Play action. 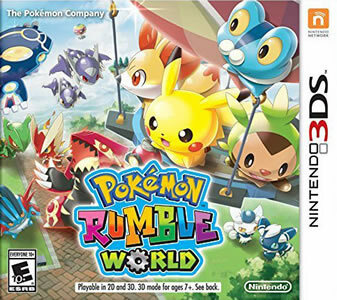 Pokémon Rumble World was released on the digital level before being released physically. This is the first game in the Pokémon Rumble series in which Mega Evolutions are featured. The game didn't sell many copies, as it was first released free to play, reaching only around 110 thousand copies sold in total. On GameRankings, the game managed to score 60.23%, over 11 review, while it scored another above average score of 58% over 16 critics, on Metacritic. Although the game wasn't reviewed by GameSpot and IGN's executives, the fans on both websites rated the game well enough, giving it scores above 7/10.